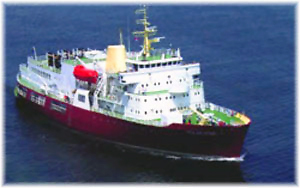 With the public having expected no longer to be able to book passage on a conventional icebreaker once Quark Expeditions’ Kapitan Khlebnikov finishes her final passenger season in January 2012, came two pieces of good news, both from Canada, for icebreaker aficionados. Meanwhile, over at the more mainstream lines, Norwegian Cruise Line has announced that its new 144,017-ton Norwegian Breakaway, now under construction at Meyer Werft in Germany, will be based year-round in New York from May 2013. And as the cruise world continues to grow outside of its long-established North American base, 40% of Carnival Corp & PLC’s third quarter 2011 revenue is reported to have come from Europe, Australasia and Asia. The Kapitan Khlebnikov will be returning to Russia in January 2012 to go to work in supporting Arctic oil and gas production in the Russian Arctic. Until last week, it was expected that when she finished her “Antarctica’s Far East” cruise on January 5, 2012, this would be the end of conventional icebreaker travel. Since 1992, she has been operating for Quark Expeditions of Toronto and Waterbury CT. Her final voyage leaves Hobart, Tasmania, on December 6th and heads south and west by way of Antarctica, calling at Casey Station, Vincennes Bay, Mirnyy Base, the Wyatt Earp Islands, Davis Station and the sub-Antarctic islands of Heard, Kerguelen and St Paul before finishing at Fremantle in Western Australia on January 5. For those still wishing to make this trip, some standard twins are still available at £33,130 each, cruise only. On Thursday, however, Quark surprised observers by announcing the return of the Russian icebreaker Kapitan Dranitsyn to the its fleet. Built in Finland in 1980 and upgraded in 1999, this vessel is a powerful icebreaker designed to reach the most remote and raw Arctic landscapes and is a virtual sister to the Kapitan Khlebnikov. But she has not seen passenger service for several years. 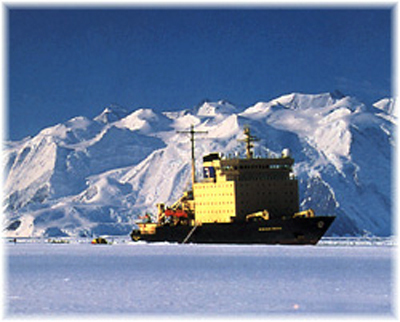 Quark has announced two unique itineraries for this ship in July and August 2012 to Franz Josef Land and Novaya Zemlya, islands in the Arctic that are only accessible to independent travellers by icebreaker. Dotted with relics from famous expeditions of the past, the archipelago is home to the walrus, polar bear, seals, Arctic Fox, Beluga Whale, seabirds and the elusive narwhal. The first Franz Josef itinerary runs from July 17 to 29 and a subsequent Franz Josef Land and Novaya Zemlya departure from July 27 through August 10, with cruise only pricing beginning at $12,995 and $15,995, respectively. It is not known yet whether Quark will be able to deploy the Kapitan Dranitsyn to Antarctica in future. Meanwhile, from Halifax, Nova Scotia, has come word that Toronto’s G Adventures, known until last month as Gap Adventures, may be interested in acquiring the troubled Polar Star. According to some sources, the Polar Star might be a good fit for G Adventures alongside its 345-foot Expedition. The 284-foot icebreaker was arrested after its Halifax owner, Karlsen Shipping Co Ltd of Halifax, was forced into receivership in May after the Toronto Dominion Bank called in a $4.6-million loan. Karlsen’s debts are said to be about $8 million. The Polar Star is in drydock at the Astican Shipyard in the Canary Islands following $1.6 million in unpaid repairs to her after she was damaged in the Antarctic in January. On September 27, the receiver Pricewaterhouse Coopers told the court there was little prospect of a significant return to creditors by pursuing a sale of the ship, which has $2.5 million in charges and liens against it. It concluded that Polar Star should be abandoned to Astican, which then might be expected to pursue a sale through the Spanish courts. Stay tuned is all we can say here. Meanwhile, whatever the situation with conventional icebreakers, Quark Expeditions continues to offer its famous trips from Murmansk to the North Pole using the 75,000 horsepower nuclear icebreaker 50 Years of Victory. Last Thursday saw the announcement on New York’s Pier 88, in the presence of Mayor Michael Bloomberg and Norwegian Cruise Line president Kevin Sheehan, that the Norwegian Breakaway will be based on New York year-round. The first of two Project Breakaway vessels now building at Meyer Werft in Papenburg, will sail week-long cruises to Bermuda in the summer time. New York pop artist Peter Max, whose omnipresent work has appeared on everything from postage stamps to Grammy Award posters, will paint the ship’s hull art. Max will create four designs, from which NCL will make a final selection. Max has painted for various Heads of State, including six US presidents. From art that appeared on the first US 10-cent stamp bearing the title “Preserve the Environment,” to 235 US border murals greeting millions of people entering America each year, Peter Max seeks to capture themes of America at its finest in his very colourful art. NCL has for some time now been a regular New York line, operating two ships from Manhattan for a number of years. In 2013, Norwegian Breakaway will join the Norwegian Gem in serving the New York market, becoming the largest ship to offer year-round service from the Port of New York (although Cunard Line’s 148,528–ton Queen Mary 2 is 3% larger in terms of tonnage, she goes off on a World Cruise each winter). Currently under construction at Meyer Werft in Germany, Norwegian Breakaway will be 144,017 gross tons and have 4,000 passenger berths. Norwegian Breakaway and sister ship Norwegian Getaway, scheduled for delivery in April 2014, will take the best of the best from all of Norwegian’s existing ships, NCL having launched ten ships in the past ten years, starting with the Norwegian Star and Sun in 2001 and culminating with Norwegian Epic in 2010. Norwegian Breakaway’s New York to Bermuda cruises are scheduled to go on sale to Latitudes members, Norwegian’s frequent guests this Friday and to the public at large next Monday. 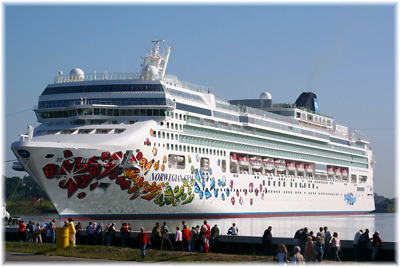 She will replace the present Norwegian Star and will perform twenty-two Bermuda cruises during the 2013 season. In Bermuda, the Norwegian Breakaway announcement led to the government and shopkeepers in Hamilton discussing the possibility of being able to remain open on Sundays to accommodate the cruise ship tourists. For the winter season of 2013/14, the Breakaway will operate to the Caribbean. 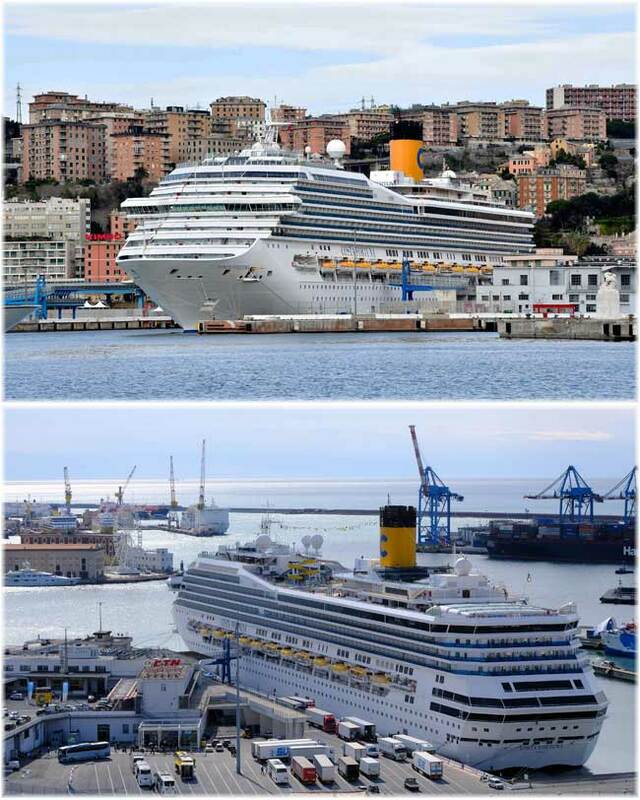 But the pressures on Carnival Corp’s Europe operations were revealed in the net income report. On the profit side, the North American brands were up year-over-year, accounting for 55.5% of Carnival’s net income in the third quarter, up from 54.4% last year. EAA brands dropped from 42.2% of net income in 2010 to 41.6% in 2011. In North America, about 79% of the third quarter total came from ticket revenues, mainly driven by higher fares. The remaining 21% came from onboard and other cruise revenues. On the other hand, EAA brands generate 84% of their revenue from fares and 16% from onboard and other cruise revenues, which also down due to lower shore excursion revenues. In comparison, therefore, North Americans pay 26.5% more after purchasing their tickets while Europeans paid about 19% above ticket price. Overall, ticket revenue per passenger was $159.12 per day in the third quarter, and net onboard spending per passenger $39.47 per day, compared to $149.19 and $37.35 during the same period last year. This means that payments above ticket price were 24.8% this year compared to 25% last year, a slight reduction where one might have expected an increase.